따뜻한 마음을 가진 몬세라트에 있는 Hotel Cuatro Reyes 숙박시설은 부에노스아이레스 여행 중 둘러보기에 가장 알맞은 곳에 있습니다. 이곳에서 생생한 도시의 모든것을 쉽게 즐기실 수 있습니다. 호텔에서 가깝워 쉽게 갈 수 있는 무세오 델 트라제, 무세오 아르젠티노 델 티트리, 팰라시오 바롤로 같은 명소와 수많은 관광지가 있습니다. Hotel Cuatro Reyes의 모든 노력이 손님의 기분을 편한하게 만들기 위해 호텔은 최고의 서비스와 시설을 제공합니다. 호텔의 손님들은 내부에 있는 24시간 프런트 데스크, 장애인용 편의시설, 여행 가방 보관, 룸 서비스, 회의시설 같은 시설을 즐기실 수 있습니다. 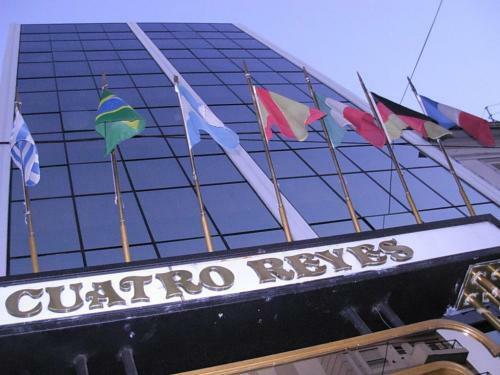 Hotel Cuatro Reyes 고유의 분위기가 모든 객실에 반영되어 있습니다. 또한, 월풀욕조, 에어컨, 난방, 모닝콜 서비스, 알람시계 등이 대부분의 객실 내에 구비가 되어 있습니다. 호텔은 탁구대 등을 포함하여 다양한 종류의 여가 시설을 완벽하게 제공합니다. 최상의 시설과 완벽한 위치의 Hotel Cuatro Reyes 숙박시설은 부에노스아이레스에서 즐겁게 머무르시기에 완벽한 장소입니다. Smart looking. Well maintained. Helpful staff. The reception desk was very helpful, friendly and sympathetic, especially when i had special requests due to my bag, passport, documents etc being stolen in the city. I felt safe and comfortable at the hotel. Local is so far from the center and restaurants. You can go there, but you need to know that taxi cab will be important in your jurney. The center of the city is almost 5Km. To go to Recoleta and Palermo you can take a taxi too. The breakfast is nice and included in the diary. There is a free internet to use in the bussines center and wifi. 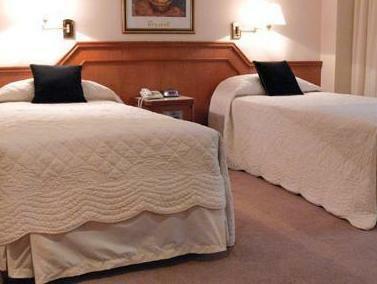 Great linens, comfortable bed, and free internet access. employees need to have more smiles. This hotel is a little far from the downtown center, the shopping area, and the tourist spots although the subway is 3 blocks away. Fortunately, the taxi was quite cheap in Buenos Aires. 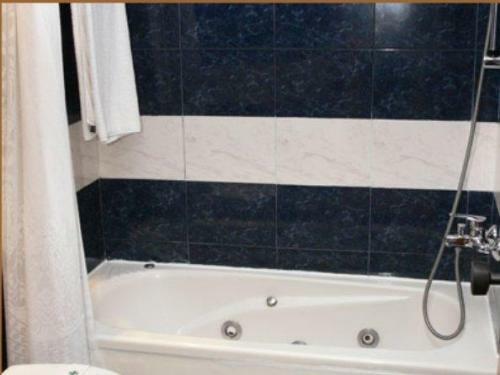 It's quite clean, comfortable hotel, except the tiny bath room (at least the room I got). Front desk was helpful, but need friendly smiles and better English. Waiters at the restaurant were very attentive, and again need smiles on their faces. Free internet access is a plus point for this hotel. Although it claims as the 4 star hotel, I can not agree with that. I would give it a 3 star hotel due to the facility and service. Mixed clientele but mostly corporate guests on courses in BA. Plenty of good places to eat in the area and very cheap. Free Internet (2 PCs in reception area and free Wi-fi). Excellent quality/price ratio. Bom hotel para viagem de negócios. poderia ter uma reforma, mas não houve problemas na estadia. We hebben hier maar een nacht geslapen, de volgende dag zijn we doorgereisd richting Pategonie en voor dit doel voldeed het hotel prima. We vroegen om een rustige kamer met een tweepersoonsbed en men deed zijn best om ons terwille te zijn, de derde kamer die we bekeken voldeed. Het bed was goed, de rest ook zei het dat de kamer nogal klein was. Het ontbijt was uitstekend, buffet type.